We control computers (to some extent). To what extent do our bodies resemble computers? Can we control our bodies the same way we program computers, or does that over-stretch a metaphor? In this talk I will sketch a history of computer architecture and programming paradigms and draw parallels to the human body. Just as a computer uses control flow, I will touch on traditional Chinese medicine and its view that the body has lines of control (meridians) that can be manipulated through a simple stretching exercise. Just as declarative and imperative programming languages are alternative paradigms whose use depends on design, Pilates, aka Contrology, is an alternative system of exercise using mindfulness and resistance to reprogram the body to correct habits. Using theories of consciousness and evolution, I will make a case for physical conditioning for programmers and I will show how physical conditioning can make your programming better and happier. Bill Guschwan's career has encompassed machines, people, and their interactions. 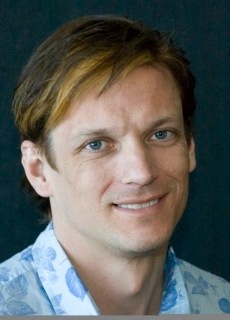 He was the co-founder of Tap.Me, where he worked on a method to integrate advertising into video games. He was on the launch teams for Quicktime, the Apple Newton, the 3DO game machine, and the Sony Playstation. But he has also acted in an in-store Sprint commercial, taught Salsa dancing, and worked as a resident juggler. Currently he is an adjunct faculty member at Columbia College and a teacher of Pilates. He pursues such activities as Pilates, Meridian Stretching, Meisner acting, juggling, and performance art. He is working on an iPad game for assessing patients who have Parkinson's disease.